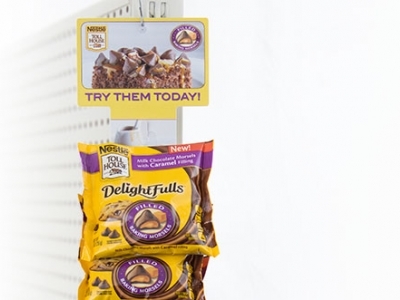 Do-It Corporation’s Printed MBQ Display Strip gets Nestle® Toll House® DelightFulls™ noticed in the busy store aisle. The digitally printed, full-color display strip is essentially a moveable display. This allows stores the option to hang in the baking aisle, the cooking aisle, or anywhere in the store.